If buying in the UK then finance and insurance might very well be part of the process you have not yet considered or looked into. Eastern Atlantic can help point you in the right direction in both cases. We have vast experience in dealing with finance companies and aircraft valuations. Indeed it is us that many finance companies often come to if assistance is needed with valuations of helicopters throughout the UK and Europe. In addition we use stocking finance at times with our own stock so we have first-hand knowledge of the steps required to facilitate a financed acquisition. When it comes to insurance Eastern Atlantic can you save you money from day one. 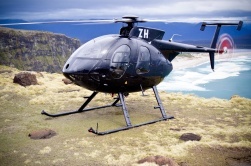 We have an excellent relationship with Haywards Aviation and indeed if you purchase a helicopter from Eastern Atlantic and you are European-based then you may well be eligible to join our private owner's fleet policy where fantastic savings off annual premiums can be found. In both cases... help us, help you! Tell us what you need and let us see if we can save you money.